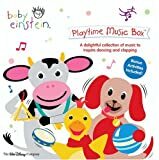 This CD is a lot of fun.The music is bubbly and upbeat and makes you want to get up and dance or just jump around.It's a great way to spend some play time with your kids.And the classical music exposure is a bonus. Why did the producers use synthesizers for this music?It's awful.It's possible to hook kids on classical music using the actual instruments written for it - that's how I got hooked.That's what Mel Blanc and Disney did in their cartoons, Bugs Bunny and Fantasia.I do NOT recommend this CD to anyone.It was a shower gift.If you are not familiar with classical music, then I recommend "Baby Needs Beethoven", which is a collection of music using real instruments (albeit shortened - no full length symphonies here). 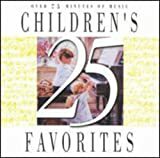 I like to put on upbeat music when I have to iron or clean house - I reserve Fats Domino for when I have to paste wax the floor - the task becomes fun when I'm listening to Mr. Domino - but for everday "dusting a bit and making an occasional cheese dip" this CD is great fun. I think children would really love it, too. 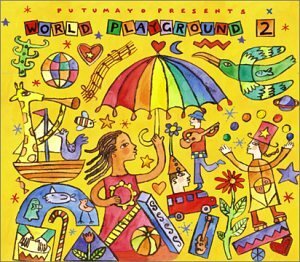 I bought the first Playground cd and loved it so much, I'm glad they finally made a second. Not only did my children enjoy it, but I found myself buying albums form the various artists represented. I'm sure that all of us who remember PP&M welcome a CD reissue if only because we won't have to listen to the scratches and the skips that a well-loved record album is burdened by. But I'm surprised at the Amazon review posted ahead of all the "amateurs" because there are NO NEW TRACKS on the CD. The record has 13 tracks, not 10, as the review so prominently claims. I agree with the other amateur reviewers who would like to hear some of the other PP&M songs added, such as "This Land is Your Land" and "Where Have all the Flowers Gone." And it's understandable that all the recording company wanted to do was reissue the original. But please, Amazon, don't advertise a product as something it's not. 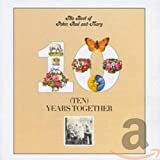 I still have this on vinyl, but just never bother with the stereo anymore.I pounced on the CD and popped it into my player, so once again I can relive the sound that meant so much to me in my college days.It's still a mellow blending of voices and a great selection of songs. 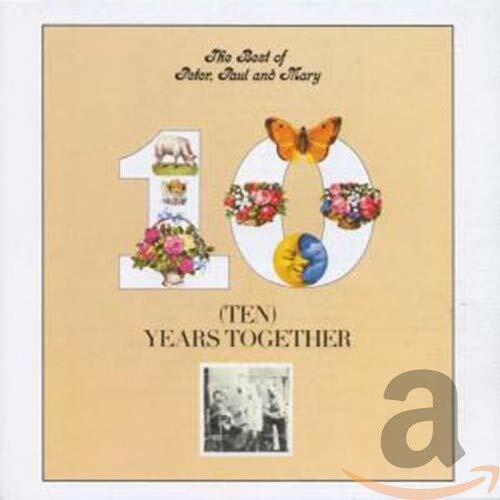 First released on LP in 1970, this greatest hits album contains several of the big hits by Peter, Paul, and Mary, the folk trio from the '60's whose classic works include "Puff the Magic Dragon" and their covers of Pete Seeger's "If I Had a Hammer," John Denver's "Leaving on a Jet Plane," and Dylan's "Blowin' in the Wind. "The group's sound consisted of simple, feel-good, peace-loving, almost naive, harmonies with spare instrumentation (usually just guitars and acoustic bass) and without much of a hint of an edge (realizing that some of their music was "protest music" in spirit and assuming for the moment that "Puff!" wasn't about lighting up a doobie).This formula garnered them a loyal following in the '60's and no doubt has today's greying listeners harkening back to those good old days.Anyone who was a fan and hasn't heard them for years will find this a warm reminder of the classic tunes and times. 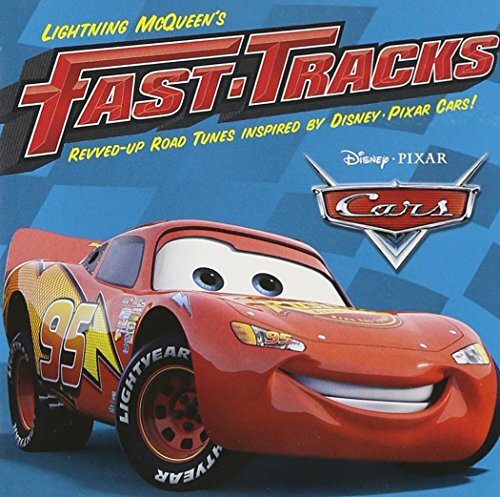 This CD is an incredible companion for Cars.The interaction with Mater and Company is enjoyable.All the car music recorded from several generations makes it a must for vehicle and music lovers alike.This is a "must own CD" for a trip with the family. We bought this CD with the Cars soundtrack and it is a great CD.My son loves it because it has the voices of Lighting and Mater who introduce most of the songs.We listened while on a road trip and all loved it. 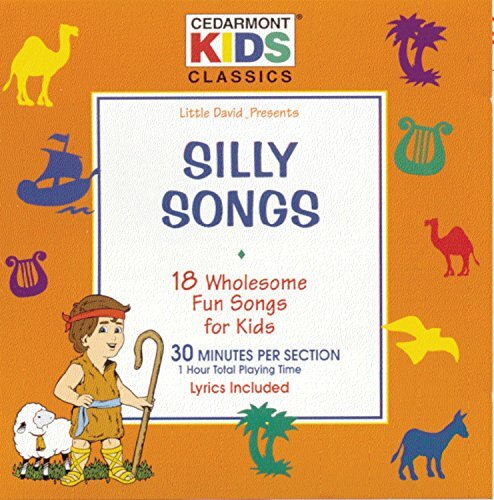 this is an ok cd. if you like the music on the orginal soundtrack (which i highly recommend) you will will most likely enjoy this.i didnt like it at first when i first started playing it, but it did grow on me. i think i would have liked it better if i had not listened to the soundtrack from cars beforehand.really, there is no comparing the two. 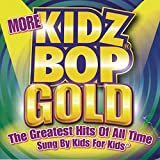 being the mother of 8 children it is hard to please everyone (ages 18 to newborn)in the car at the same time.this cd is one of the few cds we have that we do not skip over songs.we love this cd. What a wonderful CD to give as a present! 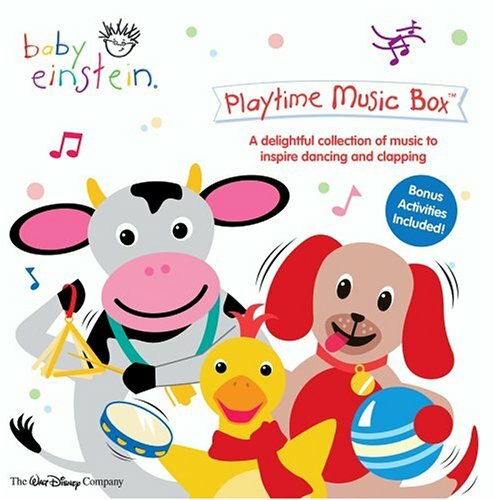 I love giving this cd as a gift, to teachers or childcare providers, or new moms.It's kids' music you can stand to hear over and over (and some of us know just how rare that is), and feel good about exposing kids totraditions and musical concepts they might not otherwise encounter.Welisten to the numbers songs in the car, we sing the shoo-fly song when wego walking--it's been a gift to my little family to have these songs addedto our lives. 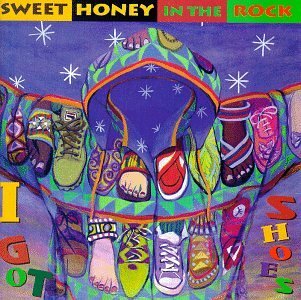 Sweet Honey in the Rock is Fantastic! 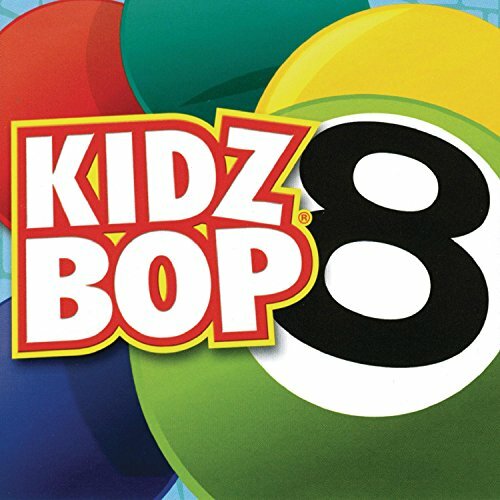 this cd is not for the parents, it's for the children. ...so don't put it down because the voices annoyed you but not your child. Being 19, I can still remember how I felt about this tape, so I'd like to think this review is somewhat more useful. 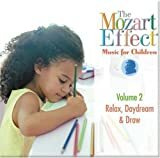 My daughter fell in love with Mozart! Mozart's Magic Fantasy captivated my daughter at the tender age of two. She is five now and still LOVES to listen to this recording! 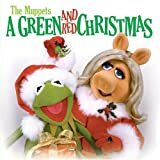 It's a bit different from the traditional version, but it contains much of the original music, along with a milder story line for the kids. After two years of listening to this version, we purchased the full Opera performance on video. Despite the fact that the entire performance is in a language my daughter doesn't speak (German) she has watched the film presentation of The Magic Flute over and over again. Now she wants flute lessons...! 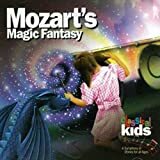 It all started with the Classical Kids story, Mozart's Magic Fantasy. This CD mostly delivered what was expected of it.The only critique I have is that some of the tempos could have been cleaner, and that it should be cross-referenced by the other composers besides J. S. Bach. This is the most wonderful collection to have on 1 CD. 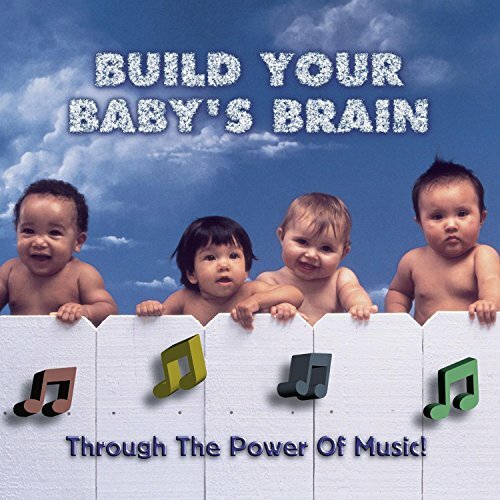 Children from birth on up can benefit from this musical collage. 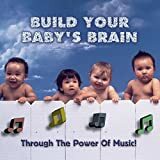 I am a true fan of Classical music and this was purchased as a gift for a co-worker who is adopting a child from China.Therefore I did not open it nor listen to it.The recipient is now overseas picking up their daughter so I know they haven't had the opportunity to listen to it. I think it's a great idea, though, and purchased a used set for my Grandson. I am sorry for the previous review who said that intelligence is hereditary. If that is true, all mankind would have been doomed from the start. 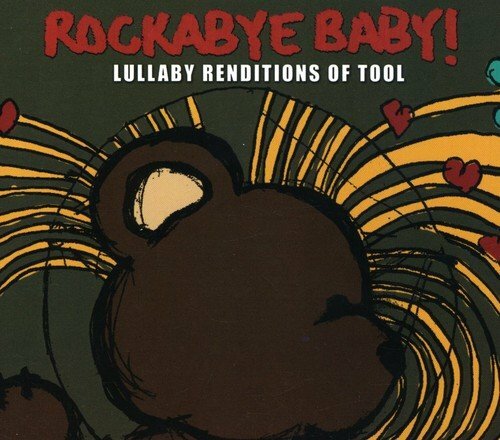 I received this CD free when I had my first baby and it instantly became my fav cd of all time. I have it on my computer and I had another copy made because I just can not imagine not having it. Well, it's a tribute to capitalism I suppose that here we have the 8th, and not final, CD in a series that only about 3% of those who hear it don't hate.So, who exactly is the market for this stuff?Is is all just parents who think they are buying one thing and end up getting something else?With each new CD there is a new crop of moms with three-year-olds just discovering music, and somehow these moms get suckered into buying this?Why do the used copies of this cost more than a buck? damn! it's like my 7-yr old brother and his friends making a mix tape!!! I just can't believe people buy his! It's like my little brother and his friends screaming in front of the PC microphone with the original songs as background music. They're just killing the artists. Green Day, U2, Avril Lavigne, Franz Ferdinand, Kelly Clarkson....there's no way I would ever enev consider about buying this thing. Grew up listening to this on record! I haven't listened to this record in many many years but as I listened to the clips of the songs, I still remember the words. This album is GREAT!!! 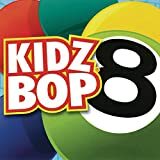 So fun to sing along to, your kids will love it. 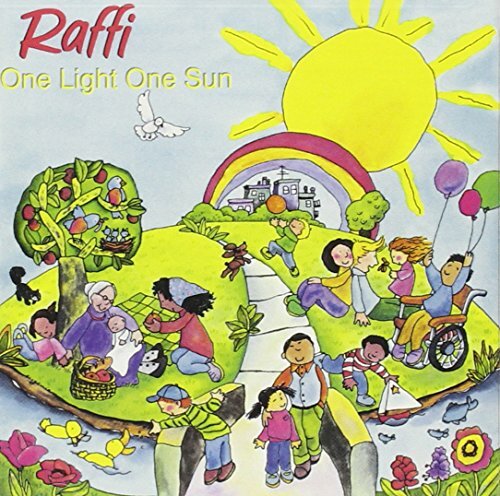 We love Raffi.This CD is just great.We like every song.If you are a Raffi fan, there is no need for me to go on.If you are not familiar with Raffi, this is a good CD.Baby Beluga is another keeper along with Songs for the Very Young.The Raffi Christmas Album is wonderful.The song Old Toy Trains, must be my favorite al l time Christmas song. ...with nothing better to do than to write illiterate reviews complaining about CDs they'll never own or even listen to. 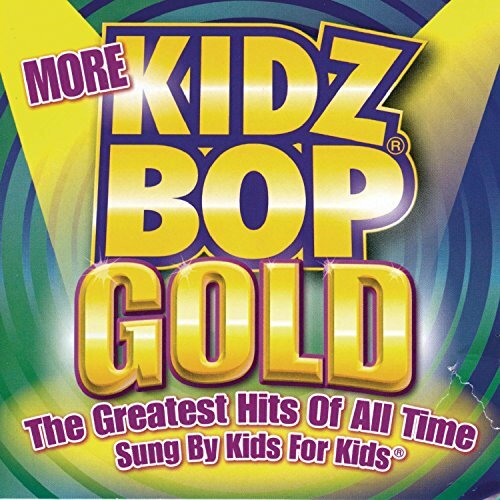 My daughter is 7 years old and loves Kidz Bop. The kids love it so I can't complain. I grew up with this music so it's easier on the ears than some other types of music that kids are listening to today. NOOOO GOD HAVE MERCY NOOOOOOOOO!!!! hey lets face it, second instalments are difficult whether it's movies, tv show spin offs, or aparently even cd collections. 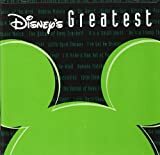 well, sadly was the case for disney's greatest volume 2. even though this is an increadable cd that anyone who bought the original should own, it just doesn't seem as great or epic as the first. 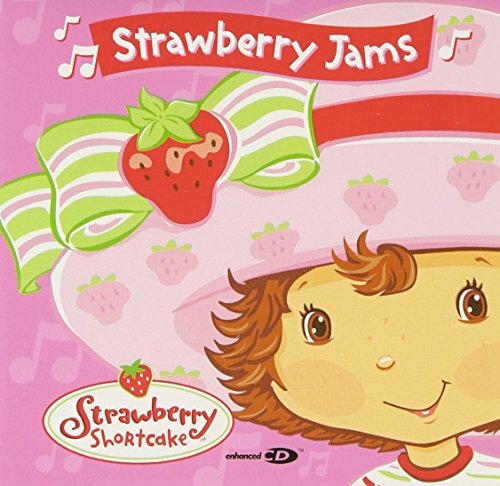 My daughter loves this CD! My seven year old is quickly progressing at piano and is playing simple pieces of Bach. She had previously only appreciated Bach (with a Bach children's tape) but now is true to Mozart. 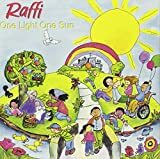 Plays every morning on our wayto school--what a way to start the day! This music sets the mood. Baby Mine alone makes this CD worth it!!! It really is a unique and special collection of music. I've used songs in movies, they are great for road trips, or just to listen around the house. You won't regret the $10 it costs to have songs that will bring back so many wonderful memories! I work in a day care--infant room actually (the Peek-a-Boos!) and this is a great CD. 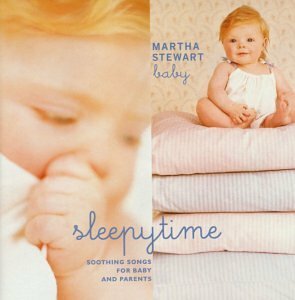 Our babies fall asleep to it & we all (the teachers) enjoy listening to it as it loops twice or three times during nape time (12pm-2pm). Best Baby C.D. EVER. No kidding! Very romantic atmosphere this album brings! This is really a romantic music collection. 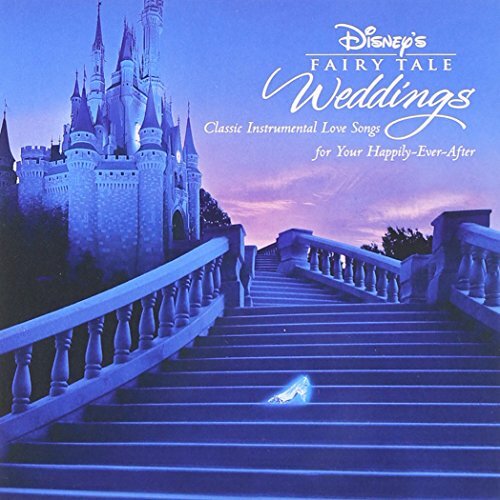 Almost all the most romantic songs of Disney were in this album, though there were no lyrics to sing, but it's still so romantic, or even more romantic than the vocal versions! Where I first heard this album was a restaurant, this album made the atmosphere so romantic and magical. Then I have decided to buy this album. 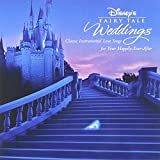 This CD is identical to Disney's Instrumental Impression.It's been repackaged but they are the same songs.Why would Disney do that? 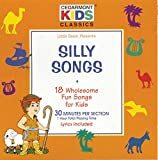 Love the kids songs on here and how it's kids singing them. My daughter, who is 2, loves it as well. She tries to sing a long and dance with the music. AWESOME CD! Wow... since when did Jesus become a capitalist? MY WHOLE FAMILY LOVES THIS ALBUM!The tunes are so catchy that I caught my husband humming one of them in the supermarket last week.I can't say enough GREAT things about this album.Most childrens albums become so annoying that I actually have hid a few of them from my children until I could secretly donate them to the library.But, this one is a lot of fun.What also impressed me is that EVERY single song is 100% G-rated.There is NO violence, sexual suggestion, or exploitation whatsoever.Actually, the songs have a great message.Call me old fashioned?PERHAPS, but I like for my girls (ages 6, 4 and 2) to stay "little girls" and sing about flowers, smiles, and happy thoughts.This album has also made an EXCELLENT gift for all my daughter's friends.You can gift with confidence that the child will love it and the parents won't eventually hate you for giving an annoying inappropriate gift.You will not be disappointed in this purchase! If your swett girls loves this berry sweet girl, you have to get this cd too. At first, I was excited to see it has been publish. But when I listened to it, I found that it was so different from my anticipation. Timon and Pumbaa songs done horribly. When I first got this Karaoke CD I was extremely excited. FINALLY, some Lion King music without vocals , I thought, and I was thoroughly impressed with everything. 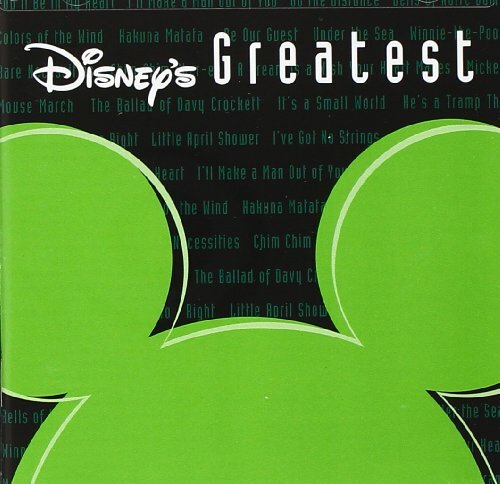 That is, until I got to my two favorite songs from The Lion King soundtracks: Hakuna Matata and Warthog Rhapsody. Some idiot took a cheap keyboard and did horrible renditions of the songs, rendering them to ghastly interpretations. The Hakuna Matata on this CD is the Broadway version-- which is an amazing version originally-- but it was menacingly torn asunder and put together again with some sort of synthesizer that basically destroyed the instruments, forming them into a song like something you'd hear from a "My First Piano Lesson" songbook. The rest of the songs such as Can You Feel The Love Tonight, Circle of Life and I just Can't Wait to Be King are the movie renditions simply taken from the actual MOVIE with the vocals removed, not redone. It makes you wonder why those morons in the recording studio redid Hakuna Matata and Warthog Rhapsody in the first place, when they could've just taken the original tracks from the soundtracks and removed the lyrics. And why the heck was the song Queen of the Jungle on there? That's not even a Lion King song!